With Dr.G.Usha “Taxonomy of Wormhole attacks in MANET”, International Journal of Control Theory and Applications 2016. Detecting wormhole attacks in MANET using Packet Leashing Techniques. Assistant Professor (O.G), SRM Institute of Science and Technology (formerly known as SRM University) Kattankulathur from June 2016 to till date. Akash S, Shyam R, Sakthivel S, Habeeb SKM. Insights from the Molecular Modelling and Docking Analysis of AIF-NLS complex to infer Nuclear Translocation of the Protein. Bioinformation. 2018;14(3). Sakthivel S, Habeeb SKM, Raman C. Screening of broad spectrum natural pesticides against conserved target Arginine Kinase in Cotton pests by molecular modeling. J. Biomol Struct Dyn. 2018. Sakthivel S, Habeeb SKM. Combined pharmacophore, virtual screening and molecular dynamics studies to identify Bruton’s Tyrosine Kinase inhibitors. J Biomol Struct Dyn.2017. Madar IH, Kathirvel P, Subramanian S, Ssadh H AL, Desai A, Tayubi IA, et al. Modelling & Docking Studies of Wild and Mutant Rubisco Enzyme in Dunaleila salina. Int J Pharma Biosci. 2017;8(3):210–6. Thambidurai Y, D S, Habeeb SKM, Ashok Kumar T. Free Radical Scavenging Activity of Marine Sponges Collected from Kovalam, Chennai. Asian J Pharm Clin Res.2017;10(6):321–7. Thambidurai Y, Habeeb SKM, Kizhakudan J, D S. Screening of Bioactive Compounds from Marine Sponges Collected from Kovalam, Chennai. Asian J Pharm Clin Res.2017;10(5):231–6. Ramachandra HG, Sakthivel S, Madar IH, Tayubi IA, Habeeb SKM. Ductal Carcinoma in situ and Invasive Breast Cancer Based Differential Gene Expression Study for Therapeutic Development. Asian J Pharm Clin Res. 2016;0(0):48–51. Sakthivel S, Habeeb SKM. SeeHaBITaT: A server on bioinformatics applications for Tospoviruses and other species. Appl Transl Genomics. 2016;9:30–2. Sureshan CS, Habeeb SKM. Identification and conformational analysis of putative microRNAs in Maruca vitrata (Lepidoptera: pyralidae). Appl Transl genomics. 2015;7:2–12. Habeeb SKM, Sanjayan KP. Molecular Docking and Enzymatic Analysis of Annonin-I, Against the Dusky Cotton Bug Oxycarenus laetus Kirby. Curr Bioinform. 2015;10(1):91–6. Sakthivel S, Habeeb SKM. NNvPDB: Neural Network based Protein Secondary Structure Prediction with PDB Validation. Bioinformation. 2015;11(8):416–21. Anuradha V, Praveena A, Habeeb SKM, others. Identification of Drug Targets through Mutational Analysis of Drug Resistance Genes in Candida albicans. Res J Pharm Technol. 2013;6(3):267–77. Kesavan S, Habeeb SKM. Molecular Modeling and Drug Discovery of Potential Inhibitors for Anticancer Target Gene Melk (Maternal Embryonic Leucine Zipper Kinase). Int Res J Pharm. 2011;2(12):141. Habeeb SKM, Kumar S, Sanjayan KP, Anuradha V, Praveena A. Comparative evolutionary analysis of insects using mitochondrial genes. Int J Curr Res.2011;3(11):66–73. Praveena A, Sindhuja R, Anuradha V, Habeeb SKM. Putative Drug Target Identification for Chlamydia Trachomatis: an insilico proteome analysis. Int J Biomed Res.2011;2(2):151–60. Anuradha V, Habeeb SKM, Praveena A, Priya A. A New GC Based HMM Algorithm for Disease Classification. Int J Comput Appl. 2011;16(5):19–22. Habeeb SKM, Sanjayan KP. Sequencing and phylogenetic analysis of the mitochondrial Cytochrome C Oxidase subunit 1 of Oxycarenus laetus (Hemiptera: Lygaeidae). Intl JPlant Anim Environ Sci. 2011;1:85–91. Praveena A, Anuradha V, Habeeb SKM, Aruna P. Docking Studies on Plant Proteinase Inhibitors in Control of Cotton Bollworm, Helicoverpa armigera. Adv Comput SciTechnol. 2011;4(1):61–71. Habeeb SKM, Anuradha V, Parveena A. Comparative molecular modeling of insect glutathione S-transferases. In: IJCA. 2011. p. 16–22. Habeeb. S. K. M. Generated RNAseq data of the Dusky Cotton Bug Oxycarenus laetus (Kirby). Habeeb. S. K. M. Generated Small RNAseq data of the Dusky Cotton Bug Oxycarenus laetus (Kirby). Habeeb. S. K. M. Generated Mitochondrial DNA data of the Dusky Cotton Bug Oxycarenus laetus (Kirby). Sewali Ghosh & Habeeb S. K. M. Submitted an RNAseq data of the Tea Mosquito Bug Helopeltis theivora (Waterhouse) to NCBI SRA database. Sewali Ghosh & Habeeb S. K. M. Submitted a Small RNAseq data of the Tea Mosquito Bug Helopeltis theivora (Waterhouse) to NCBI SRA database. Shama Uzmi & Habeeb S. K. M. Submitted a V3 – V4 16s rRNA Metagenomics Amplicon sequencing to study Gut Microbiota of Dysdercus cingulatus to NCBI SRA database. Habeeb S. K. M. & Sanjayan KP. Submitted a nucleotide sequence of Mitochondrial Cytochrome Oxidase Subunit-1 partial CDS from Oxycarenus laetus to NCBI Genbank. “Gene Expression Profiling of Dusky Cotton Bug Oxycarenus laetus from different locations” at Nextgen Genomics, Biology, Bioinformatics & Technology International Conference held in October 2018 at Jaipur. “Small RNA sequencing of Oxycarenus laetus Kirby (Hemiptera: Lygaeidae) for identifying microRNA based biomarkers” at Nextgen Genomics, Biology, Bioinformatics & Technology International Conference held in October 2018 at Jaipur. “Enhancing Apoptosis Inducing Factor-Importin Interaction by Nuclear Localization Signal Modification to Facilitate Nuclear Translocation of the Protein” at the Recent Trends in Genetic Engineering and Biotechnology conference in September 2017 at the SRM University in Chennai. “Identification of Gut Microbiota of the Dusky Cotton Bug Oxycarenus laetus” at the Research Symposium in April 2017 at the SRM University in Chennai. “Identification of miRNAs from the tea mosquito bug Helopeltis theivora using Small RNA-Seq” at the Nextgen Genomics, Biology, Bioinformatics & Technology Conference held in October 2016 at Kochi. “Structure Based Virtual Screening, Docking and Molecular Dynamic Simulation Studies on Human Telomerase Reverse Transcriptase (hTERT) Inhibitors” at the Nextgen Genomics, Biology, Bioinformatics & Technology Conference held in October 2016 at Kochi. “Identification of potential target genes to design broad spectrum cotton insecticide using Bioinformatics techniques” at the Nextgen Genomics, Biology, Bioinformatics & Technology Conference held in October 2016 at Kochi. “Identification of microbial community colonizing the gut of Dysdercus cingulatus Fabricius (Hemiptera:Pyrrhocoridae)” at the Nextgen Genomics, Biology, Bioinformatics & Technology Conference held in October 2016 at Kochi. “Inhibition of the Biosynthesis of Epicatechin in tea, Camellia sinensis (L. Kuntze) by insecticides deployed for the control of the tea mosquito bug, Helopeltis theivora (Waterhouse) at the National Conference on Emerging Trends in Management of Infectious Diseases and Public Health held in February 2016 at Mohammed Sathak College of Arts & Science at Chennai. “Seehabitat” at the Research Day held at SRM University in February 2013 at Chennai. 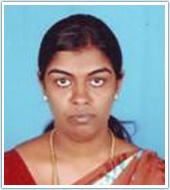 “Efficacy of Anosom on the growth characteristics of Dusky Cotton Bug Oxycarenus laetus” at the International Conference on Next Generation Bioinformatics held in February 2013 at the SRM University in Chennai. “Annonin as a candidate drug against hepatocarcinoma HCT 116 cell lines” at the International Conference on Next Generation Bioinformatics held in February 2013 at the SRM University in Chennai. “DNA Barcoding of the dusky cotton bug Oxycareus laetus kirby (Hemiptera: Lygaeidae)” at the National Congress on Biosciences held at Eithiraj College, Chennai. “Impact of Phytochemical Anosom on the Feeding and Growth of the Dusky Cotton Bug Oxycarenus laetus Kirby (Hemiptera: Lygaeidae)” in the National conference on Environment Production and Management held at Loyola college, Chennai. “Confirmation Analysis of DNA Holiday Junction at Insights’ 06 a state level symposium held at Guru Nanak College, Chennai. Poster Presentation on Proteomics at Motif’ 05 a national level symposium held at the Bharathiyar University, Coimbatore. Identification of biomarkers in cotton bug Oxycarenus laetus using NGS transcriptomics, Mitochondrial DNA and Microarray approaches. Gossypol tolerance in Oxycarenus laetus using NGS transcriptomics, Metagenomics approaches. Gene expression profiling and microRNA identification from tea mosquito bug Helopeltis theivora using NGS RNAseq & Small RNAseq. Novel inhibitors against Bruton Tyrosine Kinase using Molecular Modeling approaches. Organized IDENTITY – Hands-on Workshop on NGS Based Identification of Microbes on 15th February 2018 at the Dept. of Genetic Engineering, SRM University, Chennai. Organized IDENTITY – Hands-on Workshop on NGS Based Identification of Microbes on 16th February 2017 at the Dept. of Genetic Engineering, SRM University, Chennai. Organized a Knowledge sharing workshop session Biology for Computer Scientists on 12th November 2015 at the Dept. of Bioinformatics, SRM University, Chennai. Organized three day National Conference and Workshop on Genome Informatics on January 21st – 23rd 2015 at the Dept. of Bioinformatics, SRM University, Chennai. Organized an International Conference on Next Generation Bioinformatics on 25-27 February, 2013 at the Dept. of Bioinformatics, SRM University, Chennai. Organized Insights – National Conference and Workshop on Bioinformatics on March 2009 at the Dept. of Bioinformatics, Guru Nanak College, Chennai. Delivered an Invited Keynote address at the 1st Sari Mutiara Indonesia International Conference on Health (SaMICoH) on “Natural Pesticides for Conserved Target across Cotton Pests by Molecular Modeling” held at Grand Mercure Hotel, Medan, Indonesia (October 2018). Delivered an Invited guest lecture on “ Role of Bioinformatics in Drug Discovery & Development and Pharmacogenomics” at the Sari Mutiara University, Medan, Indonesia (October 2018). Delivered a guest lecture on Drug Discovery through Bioinformatics (CADD) at a state level seminar “e-Medicina” (March 2012) conducted by the department of Bioinformatics, Acharya College of Arts and Science, Pondichery. Awarded the Best young scientist award at a National conference on Environment Production and Management held at Loyola College (Sep 2012), Chennai. Delivered a Guest Lecture on Phylogenetic Analysis at a workshop conducted (Oct 2011) by the Department of Biochemistry, D.G. Vaishnava College, Chennai. Delivered a Guest lecture on Bioinformatics at a state level symposium (Sep 2010) organized by the Dept. of Biochemistry, D.G. Vaishnava College, Chennai. Judged the paper presentation competition at the inter-collegiate fest CHIMERA’11, organized by the Dept of Biochemistry, T.S. Narayanasamy College of Arts & Science, Navalur. Chennai. Best posters presentation award for “Gene Expression Profiling of Dusky Cotton Bug Oxycarenus laetus from different locations” at Nextgen Genomics, Biology, Bioinformatics & Technology International Conference held in October 2018 at Jaipur. Won the second best paper presentation award for “Seehabitat” at the Research Day held at SRM University in February 2013 at Chennai. Won the best paper presentation award for “Inhibition of the Biosynthesis of Epicatechin in tea, Camellia sinensis (L. Kuntze) by insecticides deployed for the control of the tea mosquito bug, Helopeltis theivora (Waterhouse) at the National Conference on Emerging Trends in Management of Infectious Diseases and Public Health held in February 2016 at Mohammed Sathak College of Arts & Science at Chennai. Won the best paper presentation award and best young scientist award at National conference on Environment Production and Management held at Loyola College (Sep 2012), Chennai. S. Hannah Pauline, ”Automatic Docking System for Recharging Defense and Surveillance Robots,” International Journal of Engineering Research and Sports. Vol 2(4),April 2015. Lecturer, Department of Electronics & Communication Engineering, SKPEC, from June 2007 to April 2010. STTP on “LABView” (Core I and II) June 1 to 5, 2015 by RMK Engineering College. Participated in 2 day workshop on Photonics And Photovoltaic Devices (WOPPD 16) held on 1st and 2nd of August 2016 by department of ECE, SRM university in association with Supreme Scientific Corporation, Fibre optika Technologies Ltd. And Optical society of India. Participated in 2 day workshop on MULTISIM held on 30th June and 1st July by department of ECE, SRM university in association with National Instruments, Bangalore. Affiliation: Department of Electronics and Communication Engineering, Kattankulathur Campus, SRM Institute of Science and Technology (formerly known as SRM University). U.Hari , B.Ramachandran and S.Divyasree , “Energy Aware Routing Protocol for Hybrid Topology using Unequal Clustering”, International Journal of Applied Engineering Research ISSN 0973-4562 Volume 10, Number 6 pp 5084-5089 ,March 2015. U.Hari and Charan Kumar Palla“Stability considerations of SRAM at 45nm with Adiabatic Charge of Word Line,” International Journal of Emerging Technology& Advanced engineering, IJETAE, (ISSN-2250-2459,ISO 9001:2008)Vol. No.5, Issue No.3, March, 2015. U.Hari and Varsha S Kumar“LOW POWER DIGITAL IMAGE PROCESSING USING APPROXIMATE ADDERS,” International Journal of Advance Research In Science And Engineering IJARSE, ISSN-2319-8354(E),Vol. No.3, Issue No.4, April 2014. U. Hari, Chris Johnson A, “ A Partition Based Unequally Clustered Multi-Hop Routing Protocol For Wireless Sensor Networks”International Journal of Engineering Research & Technology (IJERT) Vol. 2 Issue 5, May - 2013 ISSN: 2278-0181. U.Hari, Abin John Joseph, “Hexagonally Sectored Routing Protocol For Wireless Sensor Networks,”International Journal of Engineering Research & Technology (IJERT) Vol. 2 Issue 5, May 2013 ISSN: 2278-0181. U. Hari, Mathew Kurian,“ Energy Efficient Decentralized Cluster Based Protocol Using Cooperative MIMO,”International Journal of Engineering Research & Technology (IJERT) Vol. 2 Issue 5, May 2013 ISSN: 2278-0181. Workshop on “Developing NS-2 for Network Simulation” January 27th to 29th 2012, Organized by Communication Division and Networking Division, SENSE, VIT University, Vellore. Mr. RM. Hariharan’s research is to study the electron transmission properties of single molecular transistor using semi empirical quantum transport method, which is applying non-equilibrium Green’s function (NEGF) in combination with self-consistent extended Huckel theory (SCEHT). His studies show that suitable functional molecules connected to source and drain electrodes with an electrostatic gate electrode in a FET configuration can exhibit basic transistor functionality at molecular scale. This in turn can facilitate the understanding the function of molecular transistors. RM Hariharan, D John Thiruvadigal,2017, Effect of anchoring atom and electrostatic gating on the electronic transport properties in single molecular electronic devices, Journal of Materials Science: Materials in Electronics,28,1,January-2017,601-609. RM Hariharan, C Preferencial Kala, K Janani, H Bijo Joseph, S Vivekananthan, D John Thiruvadigal, Gated single molecular device and logic gate design, Electronics Letters,53,1,November-2016,46-48. RM. Hariharan and D. John Thiruvadigal, “Modelling Logic Gates Design Using Pyrrole Based Single Molecular Field Effect Transistor”, Digest Journal of Nanomaterials and Biostructures, Vol. 11, No. 3, July - September 2016, p. 873 – 882. RM. Hariharan and D. John Thiruvadigal, “Controlled Electron Transport in the Thiophene Based Single Molecular Field Effect Transistor”, International Journal of ChemTech Research, Vol.7, No.2, pp. 706-710, 2015. RM. Hariharan and D. John Thiruvadigal, “Effect of different metallic electrodes on transport properties of a carbon-dimer based molecular devices”, Asian Journal of Chemistry, Volume 25, pp. S445 – S448, 2013. RM. Hariharan and D. John Thiruvadigal, “Effect of anchoring atoms on transport properties of a carbon-dimer based molecular junctions: A first principles study”, Nanosystems: Physics, Chemistry, Mathematics, 4 (2), pp. 1–5, 2013. Paper entitled “Influence of the metal molecular coupling on charge transport through single molecular transistors” authored by “RM. Hariharan & D. John Thiruvadigal”, presented in “Asian Consortium on Computational Materials Science (ACCMS) Theme meeting on First Principles Analysis &Experiment : Role in Energy Research - ACCMS 2016”, 22nd - 24th September 2016, SRM University, Chennai, India. Paper entitled “Effect of Torsion Angle in Molecular Devices: An Investigation on Electron Transport Properties of Borazine Dimer” authored by “RM. Hariharan & D. John Thiruvadigal”, presented in “International Conference on Recent Developments in Physics for Interdisiciplinary Developments on Nanoscience & Nanotechnology - ICRAPID 2014”, 23rd - 24th January 2014, Sathyabama University, Chennai, India. Affiliation: Department of Physics & Nanotechnology, Kattankulathur Campus, SRM Institute of Science and Technology (formerly known as SRM University). Energy devices – Dye-sensitized solar cells. Functional Nanostructured Thermoelectric Materials and Devices. Semiconductor photocatalysis for the degradation of organic pollutants. JASCO solar simulator for photovoltaic measurement. Dr. S. Harish have joined the SRM Institute of Science and Technology in July 2018. His research activity is to explore the structural, electrical, thermal and mechanical properties of low and mid temperature materials for thermoelectric power generation. Further he mainly focuses on design and fabrication of high power cascade type thermoelectric modules for waste heat recovery. M. Navaneethan, M. Sabarinathan, S. Harish, J. Archana, S. Ponnusamy, C. Muthamizhchelvan and Y. Hayakawa, “Chemical synthesis and functional properties of multi-ligands passivated lead sulfide nanoparticles”, Materials Letters, 2015, 158, 75–79, 2015. [IF – 2.687]. S. Harish, M. Navaneethan, J. Archana, A. Silambarasan, S. Ponnusamy, C. Muthamizhchelvan and Y. Hayakawa, “ZnO:SnO nanorods and nanosheets and their enhanced photocatalytic activity under visible light irradiation”, AIP conference proceedings, 1665 (2015) 50135. S. Harish, J. Archana, M. Navaneethan, M. Shimomura and Y. Hayakawa, “Enhanced visible light induced photocatalytic activity on the degradation of organic pollutant by ZnO/SnO nanocomposite” in “2018 International symposium towards the future of advanced researches in Shizuoka University”, Shizuoka University, Japan, March 6th, 2018. S. Harish, J. Archana, M. Navaneethan, H. Ikeda and Y. Hayakawa, Poster presentation on “ Impregnation of ZnS Quantum dot on mesoporous TiO2 nanospheres targeting for environmental remediation” The 19th Takayanagi Kenjiro memorial symposium, (Shizuoka University, Hamamatsu, Japan, Nov 21-22, 2017). S. Harish, J. Archana, M. Navaneethan, S. Ponnusamy, C. Muthamizhchelvan, H. Ikeda and Y. Hayakawa “A heterojunction design of mesoporous TiO2 decorated ZnO nanostructures for environmental remediation” 4th International Conference on Nanoscience and Nanotechnology (ICCON-2017), (SRM University, Chennai, India, August 9 – 11, 2017). S. Harish, J. Archana, M. Navaneethan, S. Ponnusamy, C. Muthamizhchelvan and Y. Hayakawa, “Enhanced visible light induced photocatalytic activity on the degradation of organic pollutant by ZnO/SnO nanocomposite” in “2017 International symposium towards the future of advanced researches in Shizuoka University”, Shizuoka University, Japan, March 8th, 2017. S. Harish, J. Archana, M. Navaneethan, K.D. Nisha, S. Ponnusamy, C. Muthamizhchelvan, H. Ikeda, D.K. Aswal and Y. Hayakawa “Highly efficient photocatalytic degradation of organic dye by ZnO/CuO nanocomposites under visible light irradiation” Asian Consortium on Computational Materials Science (ACCMS-2016), SRM University, Chennai, India, Sep 22 – 24, 2016. S. Harish, J. Archana, M. Navaneethan, H. Ikeda and Y. Hayakawa “Controlled synthesis and investigation of ZnO/SnO nanocomposite for environmental application” JST SAKURA and SSSV Seminar program, Shizuoka University, Hamamatsu, Japan August 29 – Sep 02, 2016. [Oral Presentation]. S. Harish, J. Archana, M. Navaneethan, S. Ponnusamy, C. Muthamizhchelvan, and Y. Hayakawa, Oral presentation on “Controlled morphology evolution of ZnO nanostructure towards enhanced photocatalytic performance under visible light irradiation” The 63rd Spring meeting of the Japan Society of Applied Physics and related societies, Tokyo Institute of Technology, Ookayama, Japan, Mar 19-22, 2016). S. Harish, J. Archana, M. Navaneethan, S. Ponnusamy, C. Muthamizhchelvan, and Y. Hayakawa, Poster presentation on “Controlled synthesis of ZnO nanostructures and their photocatalytic activity under visible light irradiation” The 17th Takayanagi Kenjiro memorial symposium, (Shizuoka University, Hamamatsu, Japan, Nov 17-18, 2015). S. Harish, J. Archana, M. Navaneethan, H. Ikeda and Y. Hayakawa “Effect of metal oxides on photocatalytic performance under visible light irradiation” JST SAKURA and SSSV Seminar program, Shizuoka University, Hamamatsu, Japan Sep 01 – Sep 05, 2015. [Oral Presentation]. S. Harish, J. Archana, M. Navaneethan, S. Ponnusamy, C. Muthamizhchelvan, and Y. Hayakawa, Poster presentation on “Controlled synthesis and characterization of ethylenediamine passivated ZnO nanostructures and its photocatalytic activity under visible light irradiation” The 14th International conference on global research and education, (Hamamatsu, Japan, Sep 28-30, 2015). S. Harish, J. Archana, M. Navaneethan, S. Ponnusamy, C. Muthamizhchelvan, and Y. Hayakawa, Poster presentation on “Synthesis and characterization of ZnO/SnO nanocomposites and their enhanced photocatalytic activity under visible light irradiation” 4th International seminar on green energy conversion, (Yamanashi University, Yamanashi, Japan, Aug 26-27, 2015). Visiting Research student in Research Institute of Electronics (RIE) at Shizuoka University, Japan. April-September (2014). “Dean award for outstanding contribution to Academic research” – 2018, Shizuoka University, Japan. “Best presentation award” by International symposium towards the future of advanced researches at Shizuoka University, Japan, February 2018. “Best presentation award” in “4th International Conference on Nanoscience and Nanotechnology”, SRM University, India, August 9-11th, 2017. “JASSO research fellowship” - Government of Japan, April 2017- April 2018. “Best presentation award” by International symposium towards the future of advanced researches at Shizuoka University, Japan, February 27, 2017. “Best presentation award” by International symposium towards the future of advanced researches at Shizuoka University, Japan, March 3, 2016. “JASSO research fellowship” - Government of Japan, April 2015- April 2016. “Best Creative Working Models” by International conference on green energy for sustainable development, Loyola College, India, January 7th - 8th, 2011. Affiliation: Department of Telecommunication Engineering, Kattankulathur Campus, SRM Institute of Science and Technology (formerly known as SRM University). Suman Hotwani,Pradyumn Jain,Tanmay Bagla,K.Harisudha, “Home Monitoring System for Disabled and Elderly”, International Conference on Recent Issues in Engineering,Science & Technology-2016. Ankit Jha, Arpit Govila, Aradhana Patra, K. Harisudha, “Wireless Safety Device For Workers Working Underground”, International Conference on Recent Issues in Engineering Sceince & Technology- 2016 (IER-ICRIEST'16). S.Durai Sivakumar &K.Harisudha, “LDPC code design for Insertion/Deletion channels”, International Conference on Trends in Engineering & Technology, Science & Humanities and Management 2015(ICTETSHAM’15), Tamizhan College of Engineering and Technology,Kanyakumari, 19th and 20th February 2015. K.Prabhu &K.Harisudha, “Implementation of frequency shifted reference for UWB”, 3rd International Conference on Science & Innovative Enginering. Jawahar Engineering College, Chennai, 5th & 6th April 2014. V.Revathi, N.Thangadurai &K.Harisudha, “Clustering Based Multimetric Gatewa Mechanism FOR vanet”, International Conference on Computational Intelligence & Advanced Manufacturing Research-ICCIAMR2013, VELS University, held on 5th& 6th April 2013. S.Tamilazhagan &K.Harisudha, “An access point based FEC mechanism for video transmission over wireless LAN”, Thirumalai Engineering College,Kancheepuram, 14TH September 2013. Attended Two day FDP ON, “Recent Advances in Millimeter Radio Communication”,6-7th February 2012. Attended Two days Symposium on “Recent Advances in Telecommunication Technologies”, SRM Institute of Science and Technology (formerly known as SRM University), Kattangulathur, February 11-12th 2013. Attended Two Days Workshop on,” Research Challenges in RF and Wireless Communication” 21-22 June 2013, at IIITD&M, Kancheepuram. Attended Two day Symposium on, “Radio Frequency,Antenna Applications and Measurements”, at SRM Institute of Science and Technology (formerly known as SRM University),on August 25-26th 2014. Attended Two day SymposiumWorkshop on, “MATLAB and Simulink for Robotics”, at SRM Institute of Science and Technology (formerly known as SRM University),December 30-31st 2014.. Attended Two Days Workshop on “Speech Processing-WSSP’16”,SRM Institute of Science and Technology (formerly known as SRM University),Kattangulathur, 16-17 August 2016. N Arun, R Harris Samuel, M Sachianadham "Loading and unloading automation of centerless grinding machine ," Journal of chemical and Pharmaceutical Sciences,(JCPS) 9(4), 2016. N Arun,R Harris Samuel ,P Sundaram “Design and performance optimization of Magnetic levitating devices ,“ International Journal of Mechanical Engineering and Technology(IJMET),8(12) ,2017. 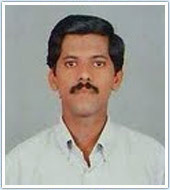 Assistant Professor S.R.M University kattankulathur Chennai. from July 2007 to Till date. Intellectual Property Rights & Innovations (coordinator) one day FDP Organized by Mechanical Engineering Association in S.R.M University kattankulathur, 6th Jan 2017. Micro and Nano Manufacturing , One day Faculty Development program organized by Department of Mechanical Engg S.R.M University Kattankulathur, 19th May 2017. Insights into Research , One day Faculty Development program organized by Department of Mechanical Engg S.R.M University Kattankulathur ,June 29 2017. Research Perspectives , One day Faculty Development program organized by Department of Mechanical Engg ,S.R.M University Kattankulathur , 22nd Oct 2016. Workshop on Fatique and Fracture ,S.R.M University 27th Jan -06 Feb 2015. Workshop on High Impact Teaching skills , Wipro Mission 10X ,S.R.M University 21-25 Feb 2012. Workshop on Engineering Materials &Applications, Vinayaka Missions University 2&3 Dec 2009. Affiliation: Department of Mechanical Engineering, Kattankulathur campus, SRM Institute of Science and Technology. N. Harshavardhana, N. R. Gorhe, J. Freudenberger, M. P. Gururajan , P. Pant, " Comparison of room temperature and cryo-deformation effects on mechanical properties and microstructure of copper," Transactions of the Indian Institute of Metals, 68,pp.131 – 135, 2015. N. Harshavardhana, M. P. Gururajan , P. Pant, "Effect of thermomechanical Processing on microstructure, mechanical behaviour and electrical conductivity of commercially pure copper" MSE 2014 conference at Darmstard, Germany. N. Harshavardhana, M.P.Gururajan , P. Pant, "Effect of Cryo deformation on microstructure of pure copper and its influence on mechanical behaviour" in ISRS 2014 Conference at IIT Madras, Chennai. N. Harshavardhana, M. P. Gururajan, and P. Pant, "Effect of kinetics on microstructure and properties of pure copper"
N. Harshavardhana, J. Freudenberger, M. P. Gururajan, and P. Pant, "Effect of cryodeformation on the microstructure and mechanical properties of pure copper". Effect of stacking fault energy (SFE) on twinning in copper based alloys. Lecturer, Department of Mechanical engineering, Thapar Insitute of Engineering and technology, Patiala, Punjab, July 2016- August 2018. Engineer, M/s Pipavav Shipyard Limited (Currently M/s Reliance Defence and Engineering Limited (RNAVAL)) Mumbai, Sept 2009 – Dec2010. Awarded 'DAAD Research Grants for doctoral candidates' for a period of six months to perform part of my PhD research at Leibniz Institute for Solid State and Materials Research, Dresden (IFW Dresden), Germany (May 2014 - October 2014). Awarded industrial funding project from M/s Crompton Greaves Limited, Mumbai to solve the industrial problem for enhancing strength and conductivity in pure Copper (Jan 2011 - July 2016). Recipient of 'Best Oral Presentation Award' in 7th Materials research Scholar MR15 Symposium at IIT Bombay.